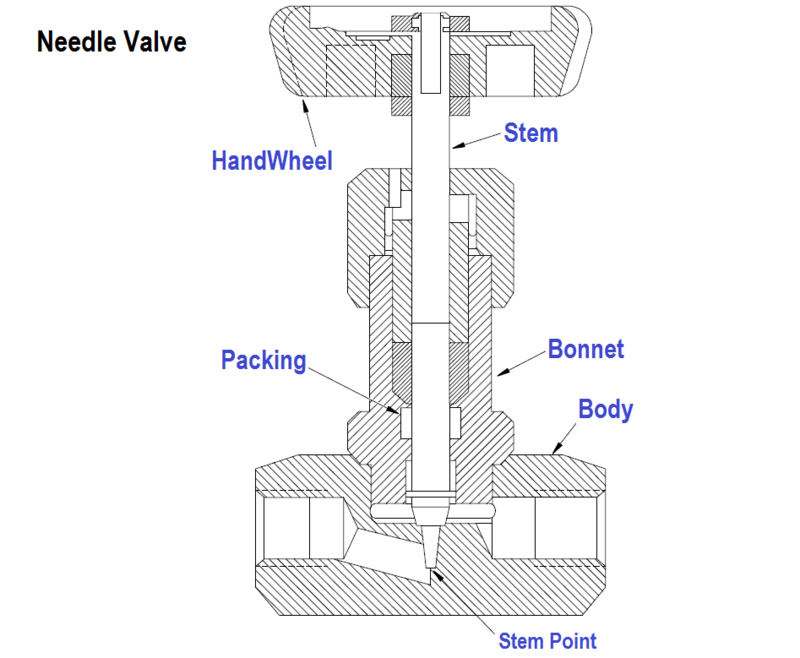 Home » What is Needle Valve ? 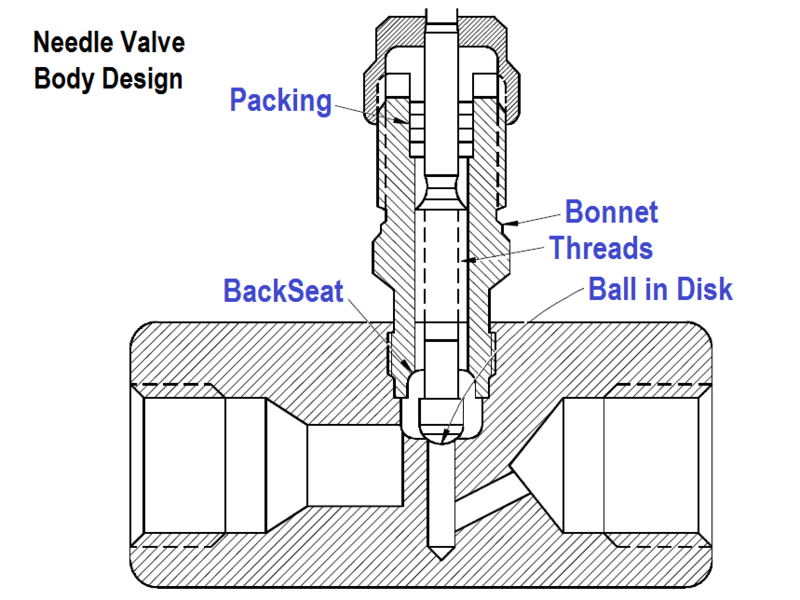 A needle valve is used to make relatively fine adjustments in the amount of fluid flow. The distinguishing characteristic of a needle valve is the long, tapered, needle like point on the end of the valve stem. This “needle” acts as a disk. The longer part of the needle is smaller than the orifice in the valve seat and passes through the orifice before the needle seats. This arrangement permits a very gradual increase or decrease in the size of the opening. Needle valves are often used as component parts of other, more complicated valves. For example, they are used in some types of reducing valves. Most constant pressure pump governors have needle valves to minimize the effects of fluctuations in pump discharge pressure. Needle valves are also used in some components of automatic combustion control systems where very precise flow regulation is necessary. One type of body design for a needle valve is the bar stock body. Bar stock bodies are common, and, in globe types, a ball swiveling in the stem provides the necessary rotation for seating without damage. The bar stock body is illustrated in below Figure. Needle valves are frequently used as metering valves. Metering valves are used for extremely fine flow control. The thin disk or orifice allows for linear flow characteristics. Therefore, the number of handwheel turns can be directly correlated to the amount of flow. A typical metering valve has a stem with 40 threads per inch. Needle valves generally use one of two styles of stem packing: an O-ring with TFE backing rings or a TFE packing cylinder. Needle valves are often equipped with replaceable seats for ease of maintenance. What is Double-ported Globe Valve ?